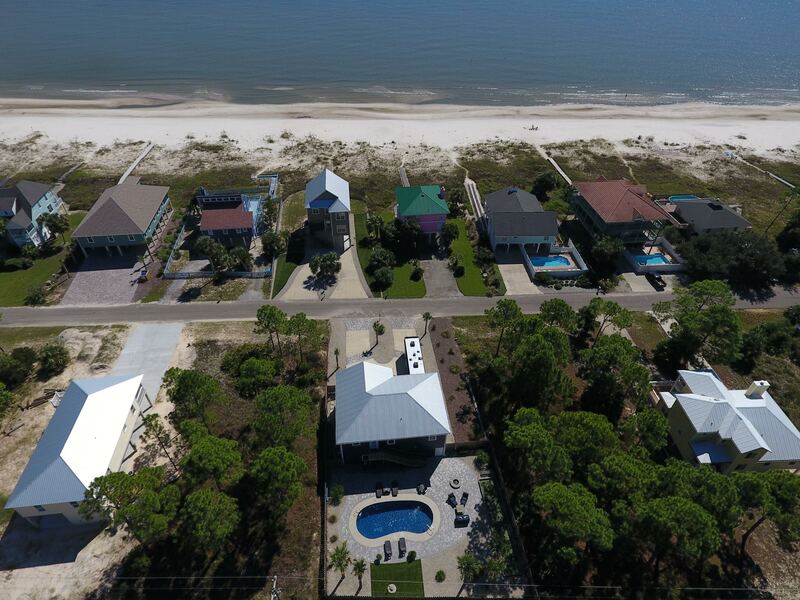 Seclusion and pristine surroundings attract people to St. Joe Beach to relax and enjoy beach living and could provide the ideal lifestyle for you as well. This relatively unknown, sparsely populated three mile stretch of beautiful white sand beaches has experienced very little commercial development. It does have incredible sunsets, buckets of seashells, spectacular fishing, snorkeling adventures and fresh seafood to enjoy. Many first time visitors don’t realize that St. Joe Beach and Beacon Hill aren’t just a part of Mexico Beach. Beacon Hill is actually the start of Gulf County and of the Eastern time zone. Traveling east on Hwy 98, the Lookout Lounge will greet you as you pass through Mexico Beach into Gulf County at Beacon Hill. Port St. Joe is another 7 miles to the East and Panama City is about 25 miles to the West. Beacon Hill got its name from its high elevation and lighthouse that served as a “beacon”, guiding ships safely into Port St. Joe. Near the beacon is Veteran’s Memorial Park overlooking the beach with a basketball court, walking track, a playground for the kids, covered pavilions and grills. The beaches here are pet friendly and even less crowded than in Mexico Beach. It’s also one of the few places left that allow bonfires on the beach. Shipwreck Raw Bar has fresh oysters and you are just a few miles from the many restaurants of Mexico Beach or Port St. Joe. Just a few blocks away, enjoy Paradise Craft House’s finer palate and their many craft beers. Download a Port St. Joe and St. Joe Beach Zoning Map.